Stay on trend this autumn/ winter with the stunning Ochre yellow Intarsia jumper. The adorable sausage dog wearing glasses wraps around your waist. 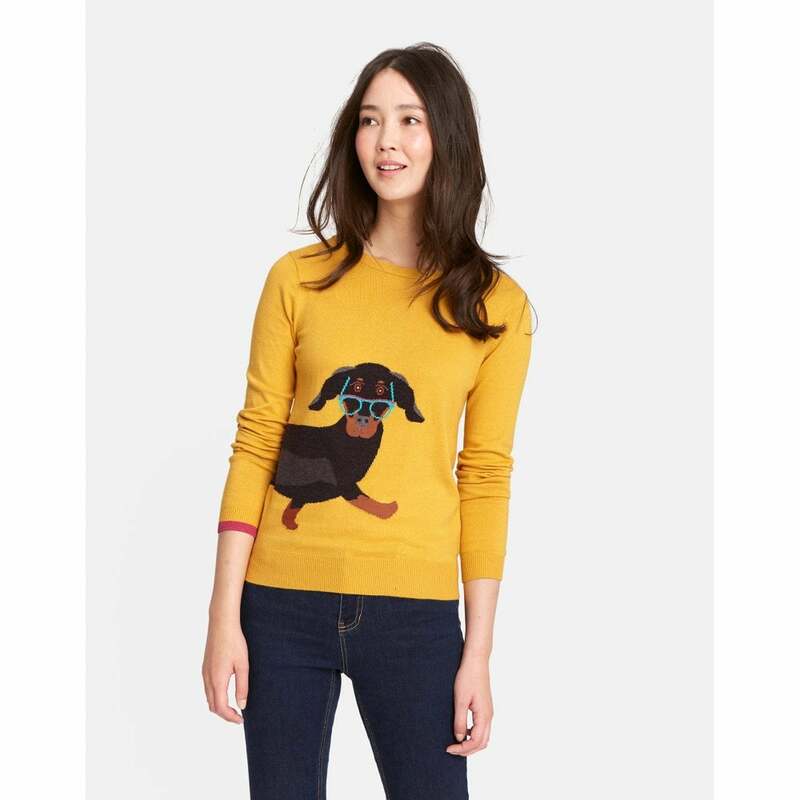 Whether you're a dog lover or not, its hard not to fall in love with this fun stylish jumper.